A Friend of Bill's, LLC currently operates recovery houses for men in Hendersonville, Lebanon and Murfreesboro, Tennessee. Primarily, we serve Middle Tennessee and the Nashville, TN area, but we also take clients regionally. As a part of our regional effort we now have opened Kentucky recovery houses in Henderson, Ky, and we now have a women's recovery house in Lebanon, TN. We offer a structured living environment for recovering alcoholics and drug addicts who are trying to learn how to live in society as sober and productive individuals. Some are likely to refer to our recovery homes as halfway houses. We think recovery homes more accurately describes our program which is more about teaching a way of life in recovery than it is about providing a place to live. Too often, a halfway house is just a place to hang out until the alcoholic or addict improves his financial circumstances, and then when he leaves, he is likely to repeat the same destructive behaviors as before which are often a recipe for continued disaster. Our transitional maintenance program is a design based upon a family disease of alcoholism model. When an alcoholic or addict stops the alcohol and drug abuse, he has only stopped self-maintenance of his disease with chemicals. This destructive disease often wakes up even more cunning than before. The disease demands appeasement. Without alcohol or drugs, the alcoholic is left to medicate his disease with a myriad of dysfunctional behaviors such as questionable relationships, over working, over spending, over eating, gambling and shopping to name a few. These are what some refer to as the ISMs in ALCOHOLISM. These ISMs have the same purpose that drinking and drug using had: To quell the "Restless, Irritable, Discontented" nature of the untreated alcoholic mind. At A Friend Of Bill's, we offer a safe, clean, and controlled living environment, to help head off these ISMs before they lead back to taking a drink or drug. By working a 12 step recovery program designed around the concepts learned in Alcoholics Anonymous and Narcotics Anonymous, the alcoholic or addict can recover his life, and the resulting spiritual awakening can keep the alcoholic's ISMs in remission and prevent the disaster of continued addiction. Every resident participates in our recovery process because they choose to. It's a great experience living with a group of people working hard to practice recovery. A friend of bills LLC, also accepts parolees and probationers since we are acknowledged by, and are on the state of Tennessee board of probation and parole (BOPP) list of approved housing. At A Friend of Bill's, we stress recovery goals every day. Clients have the chance to attend recovery related meetings, events and activities every day.The staff encourages sober living every day. With time, as the clients develop new friendships, sober friendships, the dysfunctional relationships of their drinking and drug using days lose importance and life becomes livable once again. 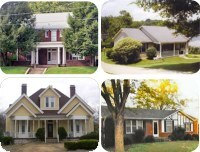 The picture displayed above shows our Hendersonville, TN home. For information on all of our houses in Lebanon, TN, Hendersonville, TN and Murfreesboro, TN, please see the Recovery Homes page. "Substance Abuse is the Number One Health Problem in TN and the US"